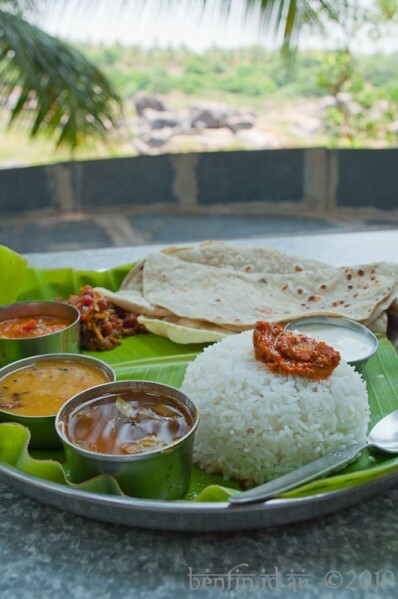 Eight Great Food Experiences in India | Hey, Look Over There! The revered Moti Mahal in the Old Delhi neighbourhood of Daryaganj is legendary as the birthplace of India’s most famous export, butter chicken. In fact, the dish was first invented in Moti Mahal’s original location in Peshawar in the Punjab region of modern day Pakistan. After the partition of British India, Moti Mahal’s owner shifted digs to Delhi, where his Punjabi style chicken dish took off. Moti Mahal’s butter chicken is a tantalisingly rich affair, with a rib-sticking cream, butter and tomato gravy. What makes it a truly great dish is the Punjabi technique of roasting the marinated chicken in the tandoor prior to adding it to the curry. At Moti Mahal, you order by the half or whole chicken, and it’s served on the bone – succulent, smoky and overwhelmingly good. Ordering this iconic Kolkatan street food involves some particularly difficult decision making. Will it be a “single chicken, single egg”, a “double chicken, no egg” or the truly heart-stopping “double mutton, double egg”? The kati roll consists of marinated meat, cooked on iron skewers over hot coals, then wrapped in flaky, fried paratha flatbread with onions, egg and fresh herbs. The kati roll is now popular all over India, but it’s only in Kolkata that you’ll find a dedicated “roll shop” on almost every street corner. 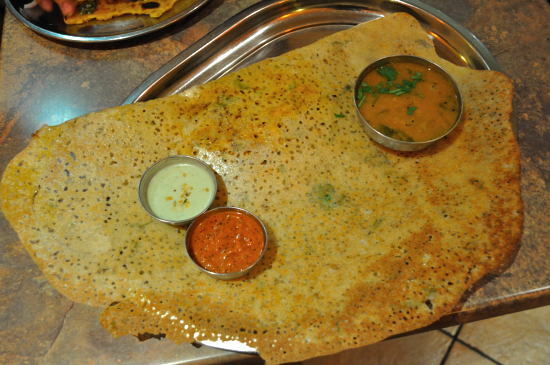 South Indian food bears little resemblance to the thick, heavy curries of the north but the dosa is proof that it’s just as good. This spectacular culinary creation consists of a rolled up, papery thin lentil crepe, crisp and wafer-like and filled with a spicy mixture of vegetables, eggs, cheese or meat. It’s served with a variety of chutneys, is very popular for breakfast and is one of the most astoundingly cheap and tasty meals you’re likely to have anywhere in India. Parsis are members of the Zoroastrian religion, originally migrants from 16th century Iran. Their cuisine is a mixture of north Indian vegetarian fare and meatier Persian recipes. In the well-touristed Colaba district of Mumbai, Britannia & Co café’s menu includes saffron rice pilaf with chicken, cashews and tangy dried barberries, and steamed fish from the Arabian Sea cooked with coconut chutney and banana leaf. Worldwide, the Zoroastrian religion is rapidly dying out, but the enormous popularity of Parsi restaurants like Britannia suggests that the cuisine may outlive the community itself. Sitting amid the clouds at 2,100m altitude, the British discovered Darjeeling possessed the perfect climate for growing tea, and quickly set about covering its hilly slopes with vast and verdant tea plantations. Today you can still get a taste of the privileged life of the colonialists, at gracious old hotels with names like The Windamere and The Elgin. 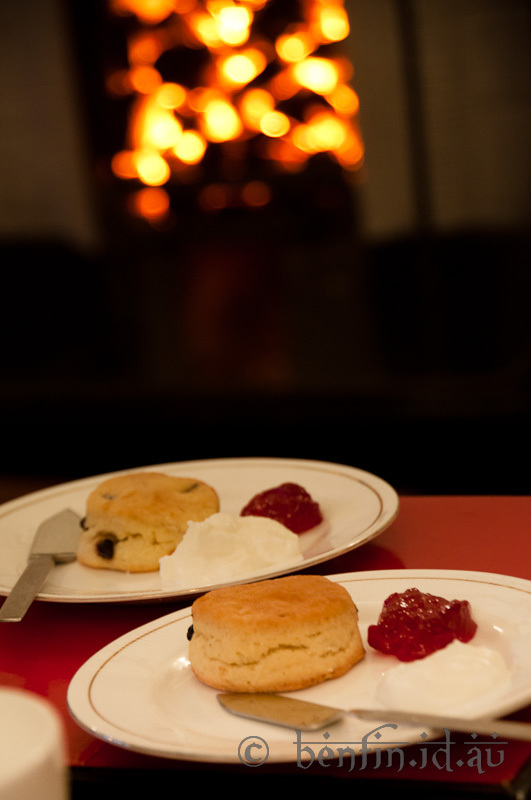 Cosy up in front of a roaring fire, nibble on cakes, cucumber sandwiches and scones and sip on some of the finest teas the world has to offer. Simply mah’vellous, old chap. Goa’s a popular state for travellers to wind down in before the long trip home, and it’s not just because of the beaches. For deprived carnivores who’ve had a tough time tracking down meaty meals elsewhere in India, Goa is paradise. Its large population of Catholics are super keen on beef and pork, and its coastal location means there’s seafood galore. There’s a strong Portuguese influence in the spicy chouriço sausages, fiery, vinegar-tinged vindaloo curry, and bebinca (caramel layer cake). If you want to truly immerse yourself in Indian food culture, you must learn to eat thali with your hands. Thali restaurants are, generally speaking, rock-bottom roadside joints where you get unlimited helpings of rice, pappadums, chutney and an assortment of curries, all designed to be swirled around the plate and mashed together with your fingers before popping the mushy mess into your mouth. If it looks like you’re running low on anything, a waiter will swiftly plop some more on your plate, whether you have any intention of eating it or not. This is the quickest way in India to make yourself full to bursting point for almost no money. Lassi, a yoghurt-based drink with stomach-strengthening properties (drinking at least one a day is said to help fend off Delhi belly) is sold by street vendors all over India, but the Rajasthani city of Jodhpur is home to the king of lassis, makhani. This ultra-thick and luxurious lassi is exotically flavoured with rose, cardamom, dried fruits and nuts and the secret ingredient – a generous sprinkling of the world’s most expensive spice, saffron.